The latest news is that a mysterious Samsung smartphone – model number SM-G888N0 – has been certified by Bluetooth SIG, a certification body for Bluetooth devices. It’s widely speculated that this phone may in fact be the long-rumoured Samsung Galaxy X.
Rumours of a mysterious foldable smartphone called the Samsung Galaxy X are circulating. But what is it? Is it even real? When might you be able to buy it? From the latest news and rumours to specs, release date and pricing gossip, our guide reveals all. According to Samsung at the time it would be ready for release in 2017 and would have a foldable 4K display, so that the resolution would remain high even when the phone was folded. We were sceptical about that launch date at the time, and still are, as it sounds seriously futuristic compared to the phones we’re using currently. The main rumour is that the phone will fold in some way, potentially using a flexible OLED panel and some kind of segmented design. This design could allow the handset to switch between smartphone and tablet form factors, and perhaps even a wearable option, too. 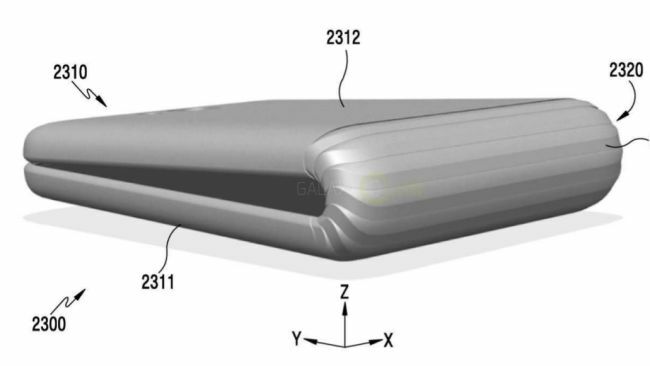 Our most recent look at what might be the Samsung Galaxy X came from a patent spotted by GalaxyClub, highlighting a long device, with a shape more like a remote control than a smartphone, but one which could fold down to half the size. As far as specs go, rumours are thin on the ground – but we’d expect something akin to what we’ve seen from the Samsung Galaxy S8 in terms of hardware. Considering that Samsung is rumoured to be limiting the initial run of Galaxy X smartphones, it’s likely that the phone would be expensive. That’s almost certainly guaranteed given the likelihood of increased hardware costs, plus the fact that the recently launched Galaxy S8 starts from £689 in the UK. Of course, we’re not even sure the Galaxy X phone exists at this point, so speculating on price is very difficult at this stage. Then in December, a video produced by Samsung was posted to YouTube, which depicted a flexible Samsung AMOLED device. In the video, the device looks just like a thin film of plastic, but it works like a smartphone or tablet, running apps and making video calls. It’s a great example of just how far back Samsung’s foldable phone ambitions stretch. Samsung Galaxy S9 – What Can We Expect In Terms of Specs? KGI Securities has chimed on what it thinks we can expect from Samsung’s Galaxy S9 and Galaxy Note 9, which will both be released in 2018. According to the firm, Samsung WILL NOT include a fingerprint sensor built into the display of the Samsung Galaxy S9. And the reason? Simple: Apple’s not doing it, so neither is Samsung. Samsung will stick with the rear-mounted fingerprint scanner on the Galaxy S9. Samsung will, however, include the technology inside 2018’s Galaxy Note 9 handset. Samsung will switch from Synaptics to Egis at the time of the Note’s release to supply the company with fingerprint sensors on the Galaxy Note 9, according to 9to5Mac. The Galaxy S9 will feature Qualcomm’s X50 modem, however, and that will bring download rates of 5Gbps to the party, which is very impressive in and of itself. Samsung also reportedly began work on the handset in April 2017, giving itself plenty of time to develop for a launch inside Q1 2018. The Samsung Galaxy S9 will apparently feature 4GB of RAM, which is kind of surprising given that the newly launched Galaxy Note 8 rocks 6GB. News of the RAM amount comes via XDA, which states the Galaxy S9 will use Qualcomm’s new Snapdragon 845 CPU, feature 64GB of storage for base models, and utilize 4GB of RAM. Furthermore, the report goes on to suggest that the Galaxy S9 WILL NOT feature an in-display fingerprint scanner – that’s apparently being saved for the Galaxy Note 9. The Galaxy S9’s fingerprint reader will apparently live inside a rectangular box, likely on the back of the handset, as per previous rumors, though this could change in due course, as refinements to the designs of handsets are made right up to the 11th hour. In March, after MWC 2017 was over, a follow-up report by ETNews suggested that Samsung was working on “the final step of development” of a foldable smartphone, with a view to building a working prototype in the third quarter of 2017. The report suggested that Samsung showed an early concept of the device to a few select mobile network providers, and was now plotting to build “thousands of prototypes” during the summer, which will be used to test quality and performance internally. Samsung was also said to be hoping to provide some prototypes to major mobile networks, with the aim of mass-producing such a phone in 2018. What do you think about a foldable Samsung smartphone? Let us know on Facebook or Twitter.